“Options cost too much”. That’s a rationale I hear all the time when I ask producers why they don’t use options to hedge their production. At certain times, options can definitely creep up in price to a point where they almost don’t seem worth the cost. The other side of the coin is, those are normally the times when volatility is highest, which means protecting your production with options is the most crucial. So the question becomes, how does one cheapen up these pricey options? The answer is simple: sell another option at the same time to collect some premium. As the old adage goes, when it comes to selling options, there’s more than one way to skin a cat. Let’s first explore the ways you can do it without subjecting yourself to margin. These are called ‘spreads’. To boil it down, an option spread involves buying a certain type of option (a put or a call), while simultaneously selling the same type of option with a different strike price. To put it in to an example that hopefully makes it a little clearer, we’ll take a look at a ‘put spread’. Let’s say you want to protect your downside risk by buying a put option, but you don’t want to pay the full premium for that put. For sake of example, let’s say you’re buying a $4.00 corn put that costs 20 cents. In order to cheapen that up and create a put spread, you’d sell a put option with a lower strike price, let’s say a $3.60 corn put that pays you 10 cents. This cheapens up the cost to get that downside protection to 10 cents, and in exchange, you’re limiting your protection to the window between $4.00 and $3.60. To put a nice little bow on it, a put spread gives you a window of downside protection in exchange for a cheaper entry price. The exact same strategy can be employed with call options. Obviously, call options are not protecting your downside risk, but are instead giving you the ability to profit if prices go higher. Buying a call spread allows you to have the potential to profit if prices go higher, while also cheapening the entry price up and giving a window of upside potential. For example, if you bought the $4.00 call and sold the $4.40 call, then you’d have a window of upside potential from $4.00 to $4.40. Now where do the marginable positions come into play? Well that happens a couple different ways. First and foremost, it happens when you buy an option, and then sell the opposite type of option. This would occur by buying a call and selling a put OR buying a put and selling a call. If you buy a call and sell a put, then you’re collecting the premium from the put option to help cheapen up the price of the call. In exchange, you’re taking on the margin of the ‘short’ put, which basically tells the market that if it trades below that price at expiration, then you’re comfortable owning futures at that specified strike price. This generally works best when prices are near the lows because it theoretically limits the downside risk associated with the short put. On the flip side, selling a call to pay for a put allows you to cheapen up your downside protection in exchange for setting a ceiling on your physical production. You get the full benefit of the put, but are telling the market that you’re comfortable selling the physical commodity at the specified strike price if it’s above that price at expiration. This strategy generally works best when prices are near the highs because it provides you with a better strike price on the put, and theoretically limits your risk associated with the short call option. My goal with this article was to clear up how selling options on futures works. If you want to see more examples of how this works or look at other options strategies, then register for THIS WEBINAR that will go more in depth on that. Marketing in the current price environment isn’t easy, but knowing how all the tools available can work for you can make it just a little easier. 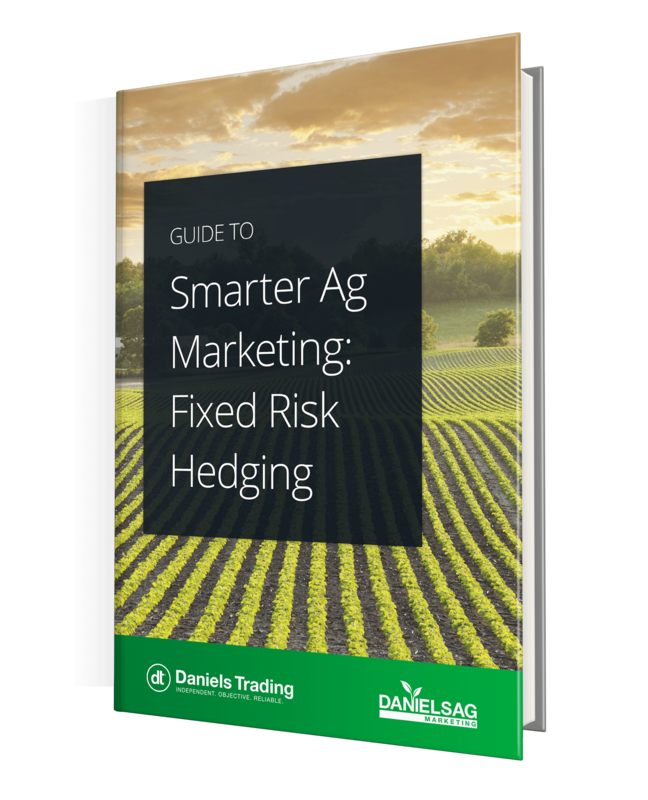 Guide to Smarter Ag Marketing: Fixed Risk Hedging Techniques - Discover seven risk management strategies in this free guide. Are you a sell-side producer looking for more information on fixed risk hedging techniques? This guide covers basic and complex hedging strategies that can help you avoid exposure to unlimited risk on your hedges. Guide to Smarter Ag Marketing: Fixed Risk Hedging Techniques includes access to premium web content.